Built in 1893 at the height of Pittsburgh’s industrial revolution, Phipps Conservatory was brought into existence as a sanctuary — a green space where smog-weary citizens could find respite from the notorious steel mills and smoke stacks that populated our bustling metropolis. Today, as one of America’s greenest public gardens in one of the nation’s most livable cities, Phipps Conservatory and Botanical Gardens not only carries on this legacy, but continues to evolve far beyond our own founding mission by creating one of the greenest buildings on Earth and meeting the globe’s highest sustainability standards. As part of a master plan for expansion, Phipps has constructed the first LEED®-certified visitor center in a public garden, the first LEED-certified greenhouse, a Tropical Forest Conservatory that debuted as the most energy-efficient structure of its kind, and the Center for Sustainable Landscapes, one of the greenest buildings in the world and the only facility to meet four of the world’s highest green building standards. 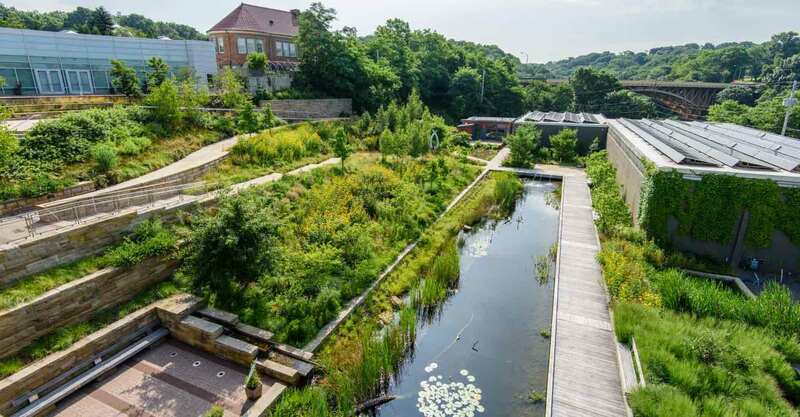 When it comes to metaphors to describe our city in the present day, perhaps there is none better than Phipps’ campus, which stands tall as a symbol of healing as our heritage merges seamlessly with modern technologies, making Pittsburgh a true leader in urban renewal. In 2018, Phipps will transform a former City of Pittsburgh public works building into its Exhibit Staging Center (ESC) with a dynamic, modernized design and the ambitious goal of achieving the world’s most rigorous building standards. As an addition to the Phipps guest experience, the ESC will offer a new behind-the-scenes look at the Conservatory’s historic and future flower shows. 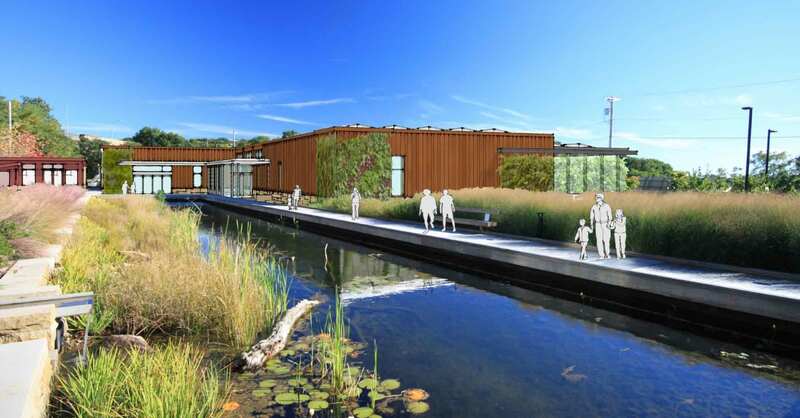 Upon completion of the ESC and fulfillment of the Living Building Challenge’s one-year performance period, Phipps will have three Living Building projects on its site, each showcasing a different construction type: new (CSL), modular (SEED) and retrofit (ESC). The resulting “living campus” will emerge as the first multi-facility living system of its kind in the world. With your contribution to Phipps' Capital Campaign, you too can be a part of this exciting progress. Make a gift today and help us make history. For more information about current projects and how you can contribute, please contact our development department at 412/441-4442, ext. 3701.Thank you!